Last weekend was a beautiful weekend. Oh my. 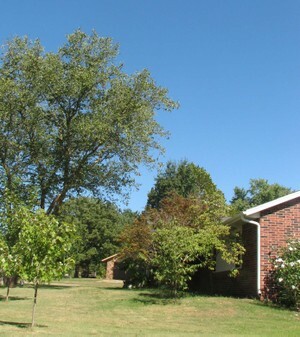 I do not think I have seen the sky that blue in a while. It has either been raining or just so hot we were having ozone alerts and hazy skies. Thank goodness for Fall inching ever so much closer. Good thing about fall the early morning walks. 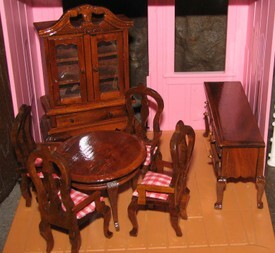 Went on Saturday and scored the dining room furniture! A Whole $2! I also scored about 5 yards of this funky 70's rayon and 5 yards of pink batiste. I could not believe it. 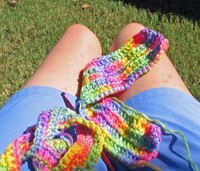 After that walk, I took a shower and sat outside to crochet for a while. It was just wonderful. I did not get the back to the sweater finished (Emma picked out the yarn), but it was just nice. I wish I had a hammock.. I could have slept in the thing.. a pillow, a light cotton blanket or two and a good book.. oh yeah, and some ice tea. That would have been heaven. I have some advice for all you gals out there... be careful while ironing. I was ironing Saturday before last. Reached for something, got distracted and was rewarded with 3rd degree burns. Only about 2 inches long and 1/2 inch wide, but none the less. It hurt. It turned really red. It would not start to heal. So last Friday I finally went to urgent care. Well, holy cow, it was 3rd degree burns and infected. I have had to take oral antibiotics and use cream for burn patients. Everyone thought I had cut myself, even the nurse when I checked in. She had to tell me they do not do stitches there. I kind of laughed and then told her.. "nope dippy me burned myself". Now, there will be no pictures of that! 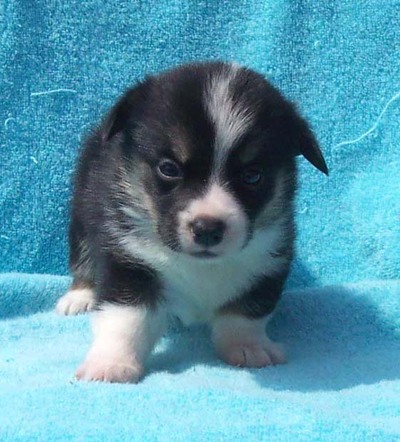 But there will be pictures of our Audrey that will become a new member to our family at the end of the month. P.S. I wanted to add this... most days I never leave my building at lunch time. I just simply do not have the time. BUT, I used to read everyone's blogs when I had a free moment or two. It was my one luxury. Well, the company I work for has locked down security and now we cannot look at blogs! I understand the reasoning, but that was my one break : ( I try to get to everyone's blog when I can and read, but it was sure nice to steal a few moments in the day time and catch up with everyone! aaack! what a sweet puppy! !